The anonymous narrator of this remarkable debut novel is a young drifter in search of his future. The son of a passionate beauty and gentle doctor, he roams the border between the United States and Mexico, eventually settling in a sleepy Baja town on the verge of transformation. Here he learns to stand face-to-face with dogs in a makeshift ring, to fight for money and fame, and becomes involved with a powerful and corrupt entrepreneur. But when he finds friendship with a revolutionary old poet and love with a beautiful, innocent girl, everything changes. Caught between the ways of his past and the dreams of his future, he must make a devastating choice that could cost him everything. 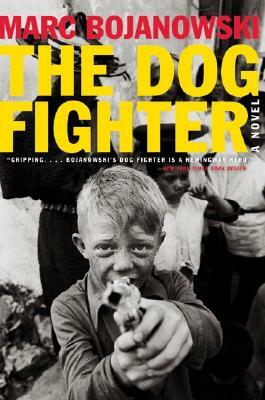 The Dog Fighter is an exhilarating tale of brutality and violence, love and wisdom, heartbreak and redemption.